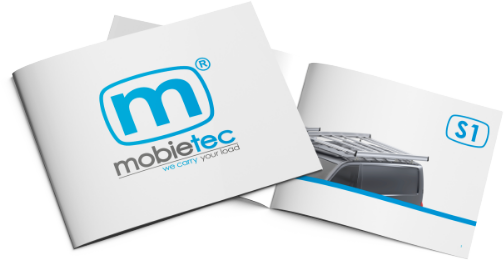 mobietec glass racks are highly suitable for transporting sheet-metal work, glass or windows. The glass carriers are made of anodized aluminum in combination with stainless steel, which assures durability. Moreover, the glass frames have been tested according to different European EN standards. Attachment to the van can be done in different ways: either through the side or without drilling, which allows an easy and quick mounting or demounting of the glass rack. This construction is made standard for every type of vehicle, but very often custom-made work is carried out, according to specific needs of the customer. 2 fixation bars are standard foreseen to hold the load in place. Different options such as an integrated ladder, extra horizontal or vertical supports, ... can be added on your demand. With a mobietec internal glass carrier you can transport glass plates, windows, window frames and panels in an easy and safe way. Compared to an external glass rack, an internal glass carrier has the added advantage of theft prevention of your precious cargo and helps sheltering your material from various weather conditions. For glass transportation inside the van, we have a construction that’s made to measure for the vehicle concerning. The glass rack can be installed on the left, on the right or on both sides. Even a sliding variant is possible. This makes loading and unloading really a piece of cake. The rubber insert, tested on frictional resistance (tested with load 1.8G), absorbs shocks during transport and of course leaves no traces onto the load. The supports (accessories) are collapsible, so more floor space can be released when the glass rack is not being used. In addition, all versions are available with or without fixation bars to hold the glass in place.